Where the rainforest meets the ocean, OSA Peninsula, Costa Rica. 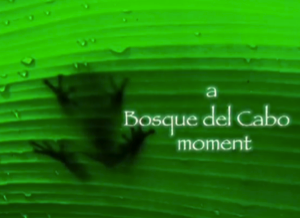 produced in 2009 by StepOut Experience. 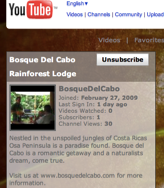 An honest look at Bosque del Cabo through the eyes of it's guests. 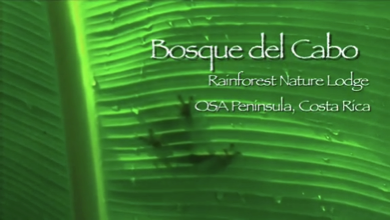 If you go to Costa Rica, Bosque Del Cabo is where you stay to see wildlife. Period! 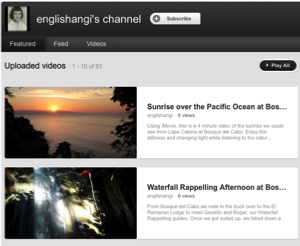 Here is the youtube with our trip to Costa Rica. My son Phil's wonder place and my daughter Sheri with us also. A great place to go to.